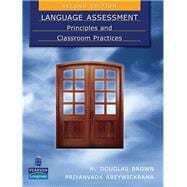 With a focus on the most common pedagogical challenge – classroom-based assessment – Language Assessment delivers useful tools for evaluating and designing practical, effective assessment techniques. Philosophy of Grading: What Should Grades Reflect? What Do Letter Grades “Mean”?